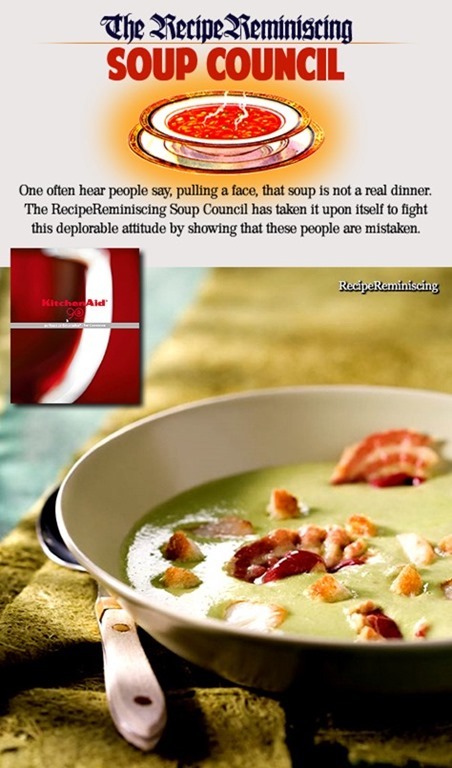 Pea soup the old-fashion way. 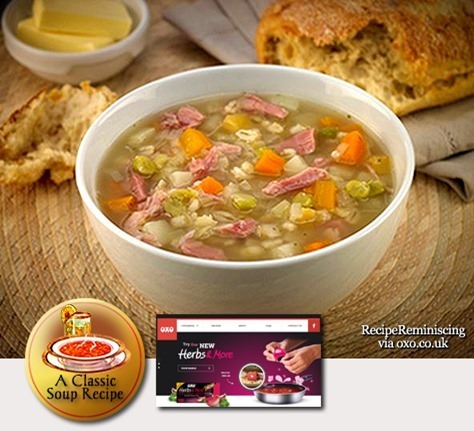 If you prepare your pea soup from the gound up, prepare the meal a little in advance. 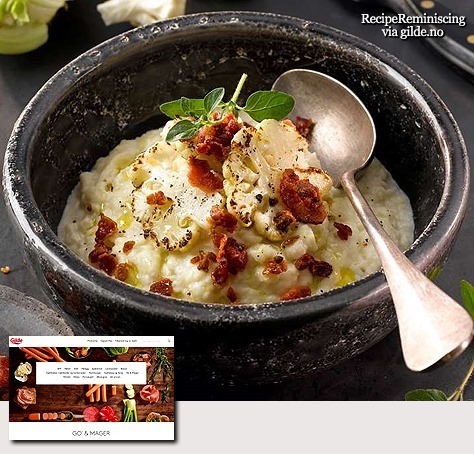 The result is a lot of delicious taste from few ingredients. 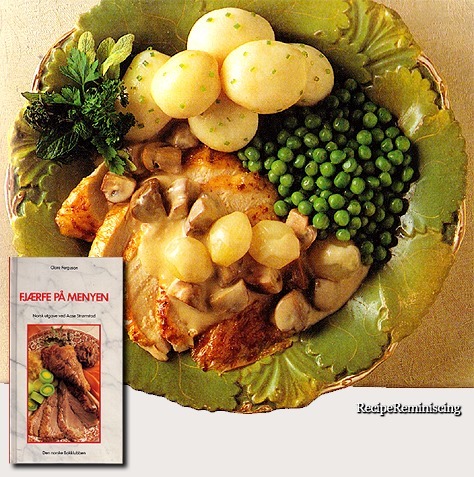 In the old days before refrigerator and freezers became common, there were four ways one could get meat and fish and keep for a long time. Smoking, drying, curing and salting. When salting, meat and fish were put in strong salt brine in barrels and when used it had to be rinsed in to remove most of the salty taste. 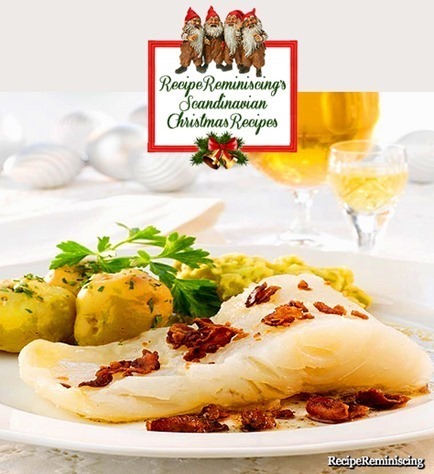 Lutefisk served with stewed peas, crisp bacon and potatoes is Norwegian tradition at its best. Some want brown cheese, golden syrup or mustard as well, the lutefisk has many friends. 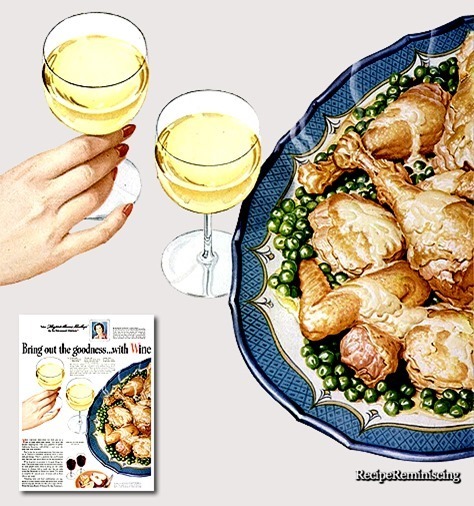 This chicken fricassee can start you on a test of some pleasurable eating. You serve the chicken steaming hot. Then pour a glass of California Sauterne or an other good white wine, well chilled – and taste the wine and food together. Purée is a nice dinner accessory, where bacon does a good job as flavoring and topping. 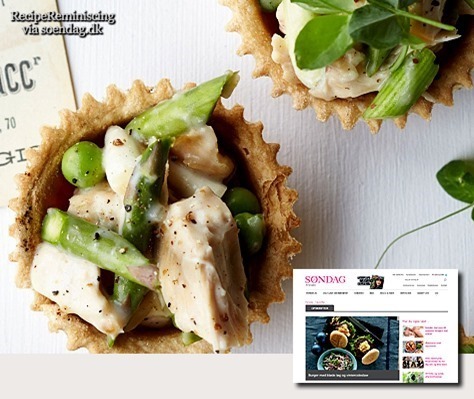 Test out different varieties such as Jerusalem artichoke purée, pea purée or as in the recipe below – cauliflower purée. 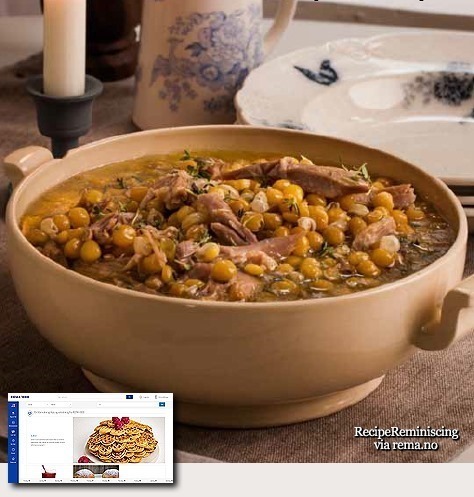 A delicious recipe to add new dimensions of flavour to pork. 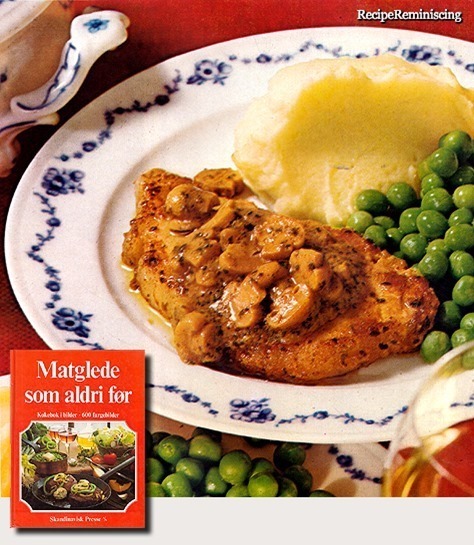 Serve it with buttered peas and mashed potatoes. 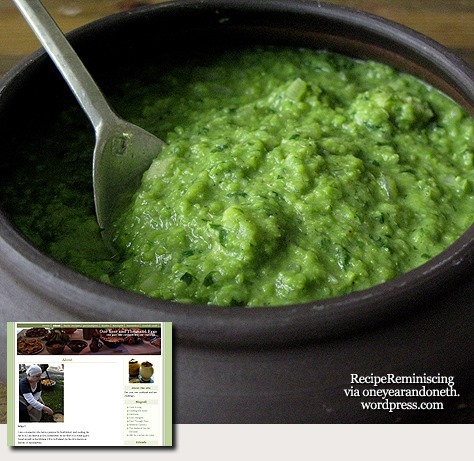 Green pea soup is a classic spring soup. Replace the marjoram with basil and the mascarpone with ricotta for a lighter version of this soup. 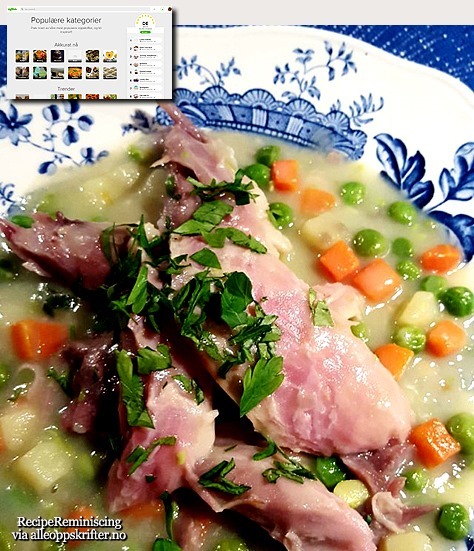 This traditional British dish (also known as “savoury ducks”) seems to have been concocted for the purpose of using up absolutely every part of a pig that you would never eat otherwise, and was especially popular with the rationing of World War II. The “good old-fashioned way” to make faggots is with a pig’s heart, liver and fatty belly meat or bacon minced together, with herbs added for flavoring, and sometimes bread crumbs. The mixture is shaped into balls, wrapped with caul fat (the omentum membrane from the pig’s abdomen), and baked. Tasty, innnit? 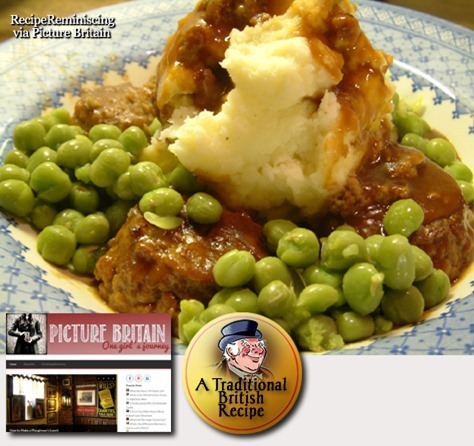 So, my non-British friends, if you want to impress your dinner guests with your expertise in international cuisine, really make them wonder, or just want to gross them out, here is the recipe for British faggots (and please don’t forget the marrowfat peas!). Take green peas, and boil them in a pot; And when they are broken, draw the broth a good quantity through a strainer into a pot, And sit it on the fire; and take onions and parsley, and hew them small together, And cast them thereto; And take powder of Cinnamon and pepper and cast thereto, and let boil; And take vinegar and powder of ginger, and cast thereto; And then take Saffron and salt, a little quantity, and cast thereto; And take fair pieces of pandemaine, or else of such tender bread, and cut it in fair morsels, and cast thereto; And serve it so forth. 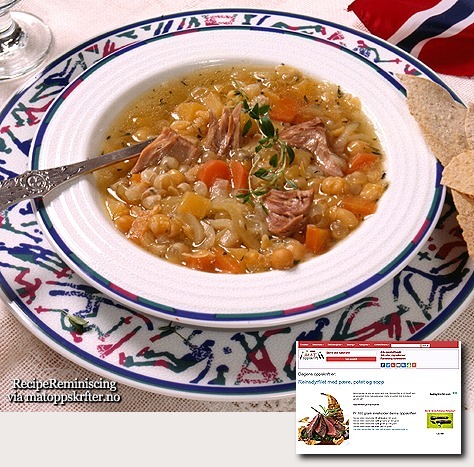 This pea soup that originates from Stryn was widely served during harvesting and threshing back in the old days. 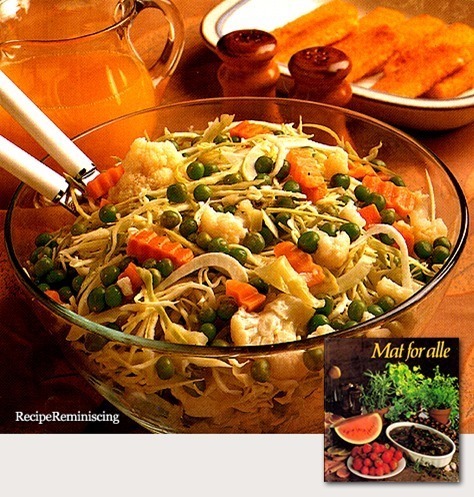 All vegetables that was available was generally used, as well as the meat or flesh that could be used. 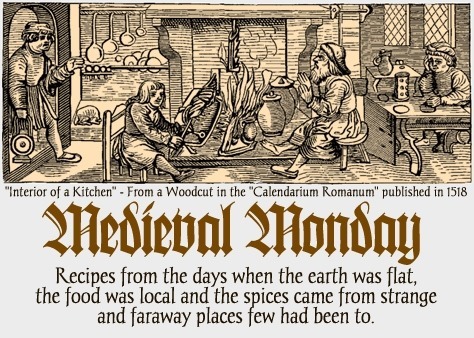 The beef, mutton or pork was usually smoked, dried or salted. 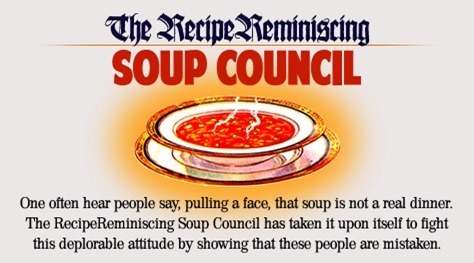 It was standard to serve the soup with flatbread and always with boiled potatoes. The flatbread was usually dipped in the broth during the meal. 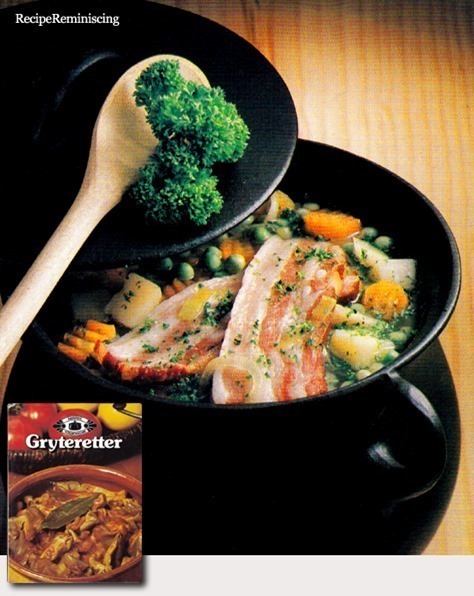 This traditional Norwegian dish is incredibly delicious winter food! Pork knuckle is very easy to prepare and if you cook the knuckle the night before you’ll use max 20 minutes to cook this delicious dinner.